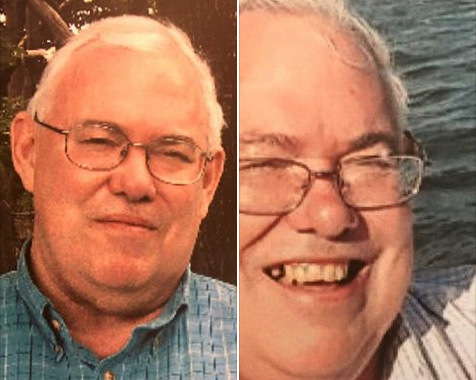 Quincy Police got an arrest warrant today for a guy accused of swindling local investors out of $1.65 million they thought would go towards buying and re-opening the shuttered Beachcomber on Quincy Shore Drive. Read more. Sullivan's at Castle Island opens for the season tomorrow. And the Clam Box at Wollaston Beach opens March 4. 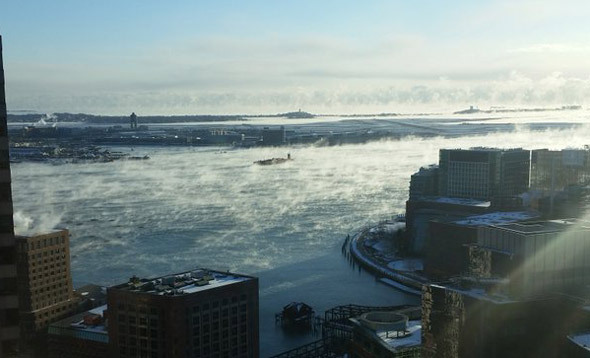 When subzero air meets still liquid water, the result is "sea smoke," as our own Cybah shows us with this view of Boston Harbor this morning. Eric Ballard videoed the sea smoke in action: Read more. MadTy got up early this morning. Storm-tossed boat at Wollaston Beach. Video of Storm-tossed boat at Wollaston Beach. The Athenor was one of three boats (and the remains of a dock) that wound up on Wollaston Beach today as the storm howled through Quincy Bay, kicking up whitecaps and attacking the foolhardy few who braved the beach with stinging sand. Read more. 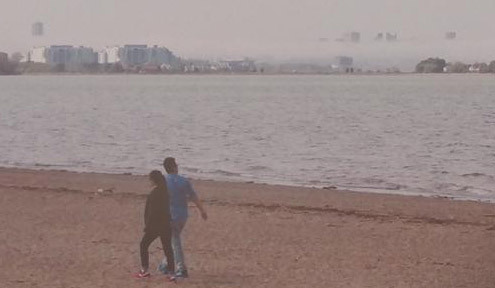 Benjamin CL reports on the fog layer that made half the Hancock and most of the downtown skyline disappear, at least as seen from Wollaston Beach late this afternoon. On my way to work I came upon this sad sight. Wind and waves had combined to drive these boats on to Wollaston Beach. Little damage was apparent and a couple of the owners were on hand to figure out what to do next. The Hancock was blindingly bright at sunset tonight, at least along Wollaston Beach in Quincy (where it was a great night for dinner at the Clam Box). WCVB reports on a bearded dragon found on the beach today. But don't worry: It was described as "friendly, calm and sweet." Troopers responded to Marina Bay, Squantum Point Park and Wollaston Beach and helped move out more than 300 vehicles from DCR property after bar closures at Marina Bay. Troopers assisted Quincy Police with multiple fights and assaults. Troopers removed several large groups from Wollaston Beach. As some kids looked for interesting shells along the water at Wollaston, downtown Boston slowly disappeared behind them. A few minutes later, the tops of the Prudential and the Hancock got swallowed up by clouds as well. 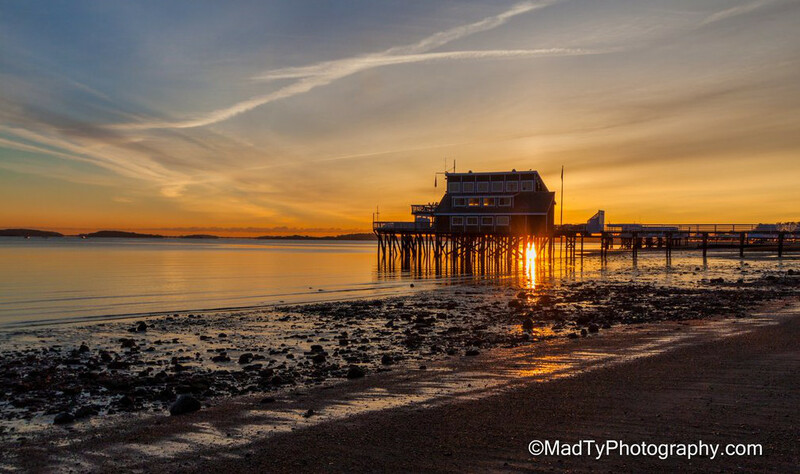 Sekbaavi watched the sun go down over Wollaston Beach on Sunday. I think the winter might have been a more appropriate time to tear things up, but what do I know? Carpundit wonder when the Sagamore Rotary flyover will be done.